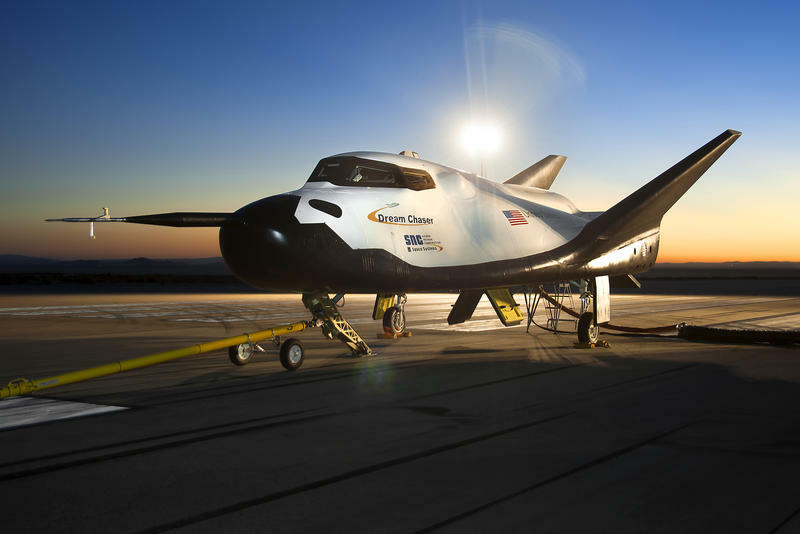 Sierra Nevada Corp. announced recently it will launch its first unmanned orbital test fight in 2016, an effort meant to prove its Dream Chaser is capable of shuttling astronauts to and from space. The flight is currently scheduled to launch on Nov. 1, 2016 from Cape Canaveral, Fla., and will sit piggyback on a United Atlas 5 rocket. While the Dream Chaser's first flight will be unmanned, the plan is to eventually shuttle astronauts into low-Earth orbit by 2017 using the private space plane. Since NASA retired its space shuttle fleet back in 2011, the agency is relying on space planes like Dream Chaser to handle round-trip missions to and from the International Space Station. NASA currently relies on Russian Soyuz space capsules to get astronauts to and from the station, though Dream Chaser and other privately built crafts, such as Space X's Dragon, can be a huge boon for NASA. Space X, incidentally, has already shuttled supplies to the ISS. "We expect to have a fleet of these vehicles, much like the shuttle with different purposes," said Mark Sirangelo, corporate vice president and head of Sierra Nevada's Space Systems. "Some will be all crew, some will be crew and cargo. Some will be cargo, some will be servicing, and we also think that at some point there will be independent science ability with the vehicle. It's a multi use vehicle, we like to think of it as our 'space SUV' and we're very proud of it." Once Dream Chaser shoots into low-Earth orbit, it'll hang out for about a day before landing on the western coast of the U.S. According to Steve Lindsey, program manager for Sierra Nevada Corporation Dream Chaser, the space plane flown autonomously in 2016 will essentially be the same thing flown a year later, but with crew aboard. "Our intent is to have all of those systems and subsystems onboard and checked out and use this on the path to certification for the orbital crewed vehicle," Lindsey said. Sierra Nevada still has plenty of work to do before the November 2016 launch, however. Last year, Dream Chaser conducted its first free flight designed to test its automated approach and landing system, and while the flight itself was smooth, Dream Chaser wound up skidding off the runway following a malfunction. With more than two years until the official low-orbit test, hopefully all the kinks will be worked out so there isn't a repeat event.